But I feel alright, yeah I feel alright tonight"
- Steve Earle, "Feel Alright"
One of my long held dreams is to write a script. Lots of people have the same idea, and while I'm hammering out three thousand words a week on West Ham's lack of either any defensive midfield cover or transfer strategy, then I'm unlikely to ever get round to it. I did write a few for FourFourTwo and once described a match at Hull through the medium of a screenplay, but mostly I start them, don't finish them and they sit unread on my hard drive. But what led me to want to do this was my love for the seminal TV series, The Wire. 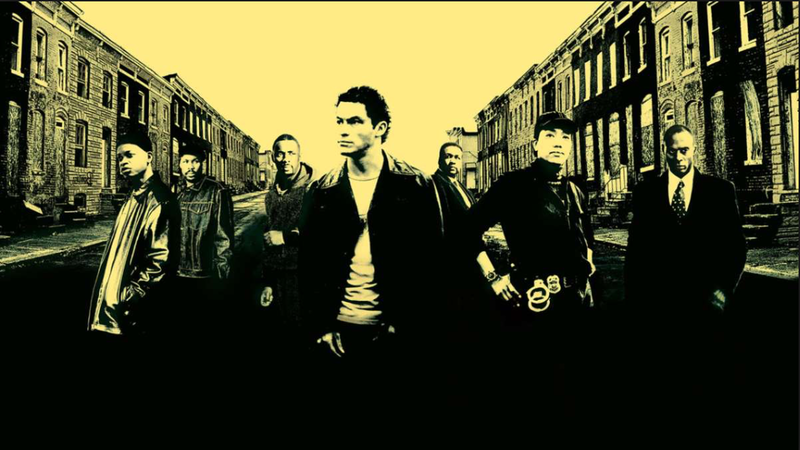 Set in turn of the century Baltimore, it covered the never ending drug war between gangs and the police before detouring into social commentary about the school system and the effect of modernisation on such eclectic groups as stevedores and journalists. Even today, it remains the gold standard for interconnected storytelling and opened my eyes to the power of a brilliantly constructed storyline and supporting screenplays. (By the way, I made a flippant offhand comment about my love for this show in a previous column and was forced to run a poll to confirm that Season Two is indeed the best, so that is now decided and there is no need to contact me to tell me you wrongly believe otherwise). 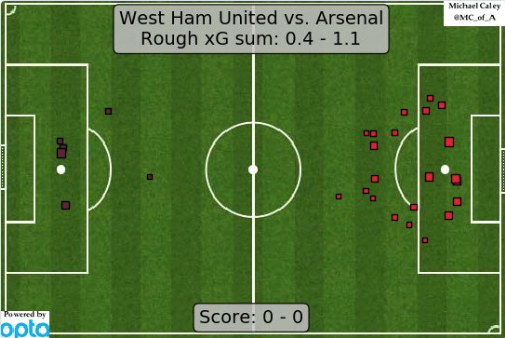 None of which should really be of any relevance to West Ham playing Arsenal. Except that as I watched us gamely battle for a point here, I kept returning to the central tenet of The Wire - namely that all the pieces matter. From the lowly drug addict to the mayor, by way of the Polish dock workers and the inner city teachers, there is a role for everyone and everything in the hands of the right author. And without waxing too lyrical about a man who has won just once in his six games, you can see elements of that holistic approach to what David Moyes is doing at West Ham. For so long we have become accustomed to watching a team that is very obviously less than the sum of its parts. And yet now I feel that even as I watch us struggle to contain Arsenal, there is something happening. Players who, just two weeks ago, looked like Baltimore junkies are now bursting about the pitch with newly discovered energy and drive. From towels on the side of the pitch to aid Michail Antonio's long throws, to the resurgence of Marko Arnautovic, there is the overriding feeling that this is a team finally being given a sense of structure. Witness how many times in this game a recovering defender was in the right place to stick out a leg or make a vital block. It might be tempting for Arsenal fans to write that off as a bad night at the office, but what I saw was a Premier League team organised into a unit that is, finally, hard to break down. - Hundred Waters, "Wave to Anchor"
After this game started, and Arsenal had come flying out of the traps like Sam Allardyce sprinting into a Toby Carvery Happy Hour, we struggled to get a foot on the ball. At one point, after a series of dangerous raids, I looked up to see how long we had to go until half time and realised we'd only been playing for seven minutes. That's not a great sign. I usually reserve such clock watching for when Mrs Shark makes me watch films starring Katherine Heigl. I have little doubt that under Slaven Bilic we would have conceded in this period and gone on to lose the game 4-1. I've watched The Wire a few times over, but I've also seen us get tonked at home by the big boys plenty of times too. This game had all of those warning signs, but here is where all of the pieces did their job. Shots were blocked, tackles were won, saves were made and the post was rattled but we survived. We got through it. And then suddenly we had the ball in the net, and although it was ruled out because Arnautovic had criminally allowed himself to stray offside despite looking down the line, it did prove that for all the focus on defence Moyes does seem able to conjure up some pretty decent chances. As usual the Caley Graphics shot map pretty accurately matches my recollection of things as it shows Arsenal having lots of low quality chances that were so high in volume that you figured one would eventually go in, but actually they never got too close. We reserved most of our attacking for the last five minutes when we suddenly burst into life and Chicharito rattled the bar with a great chance that would have given us an undeserved win. To be honest, the only difference between this game and Chelsea is that we took our chance on Saturday. What struck me about this game is how frustrating it must be to watch Arsenal all the time. I do admire them, and I like Arsene Wenger, because they are one of the few English teams with a true footballing identity but they seem almost impervious to the realities of modern football. Wenger has refused to equivocate and continues to have his teams pass the ball incessantly, which they did here again tonight to the tune of having the ball 70% of the time. But what is also noticeable is how much of that play was in front of our defence. They rarely got behind us and so for all the laser guided precision of their passing and movement, there wasn't a huge amount of substance to those attacks. Indeed, Arsenal remind me of the show homes you see when you go to a new development. Your initial impression is likely to be one of great desire, but it is important to ask yourself - "Is this practical? Does this actually work? Will this be of any use in the real word?" And this is where Wenger's masterplan falls apart. A limited but spirited West Ham team, with a new manager and a severe case of post traumatic stress disorder from this fixture last year, were able to repel his team with some ease. I have no dog in the fight beyond the fact that Arsenal are one of the few other Premier League teams I will watch in a game not including us, because their football is so enjoyable to watch. 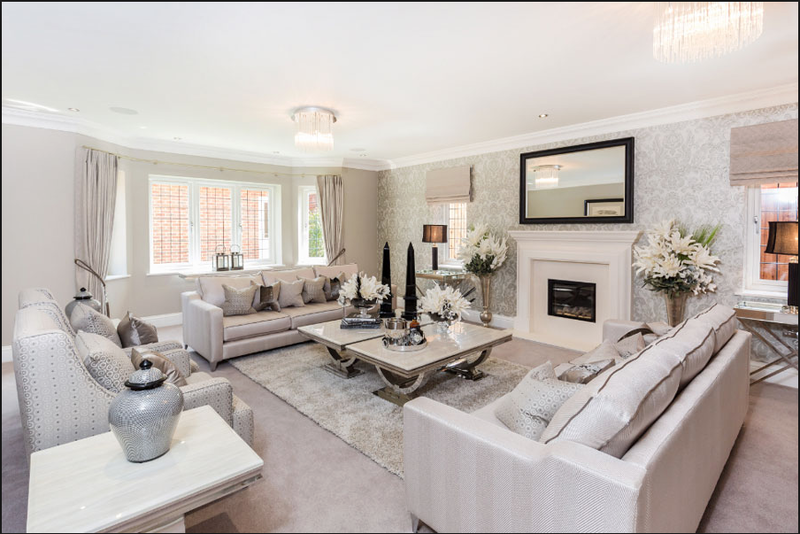 But at some point it surely has to be worth asking whether that show home is really any use. Because in real life the fact you've got two dozen boxes of books and your sofa is slightly too big and the kids leave their bags everywhere and the washing machine is in an open plan room all really matter. The difference between them and Manchester City is palpable, but that's true of every other team. But they also don't compare all that well to Spurs or Liverpool either. I don't think either of those teams play a scintillating, easy on the eye style like Arsenal but I reckon they are both better because they are simply more clinical. The Gunners seem to think that goals will eventually come simply through the repetition of those lovely passing patterns, without ever apparently getting round to determining how. At the heart of the Arsenal display here was Jack Wilshere who has long been linked with a move "back" to West Ham, as we are his childhood club apparently. Watching his first half performance here it was impossible to imagine that Wenger would let him leave, as he was the best player on the pitch. His movement was delightful, and he has that high class ability to look like he has time when he really doesn't. It was tempting to see all that and dream that he'd be the perfect January addition, sitting alongside Manuel Lanzini and adding some sorely needed creative spark. But we can't take the risk. If we have learned anything in the last few years it must surely be that paying players to sit in Whipps Cross Hospital is a waste of time. It's bad enough that Andy Carroll now has his own MRI suite at home to save time, but Antonio is also beginning to look like he too is catching the bug. I remain unconvinced that he is over his hamstring injury from last year, which is an incredibly debilitating injury for a player like him, and as such he is essentially a passenger from sixty minutes on in any game he currently plays. Against the backdrop of our small squad and horrendous record with injuries I just can't see that Wilshere makes any sense for us. I should also add that we've also been linked with Olivier Giroud and that's just fine with me. If nothing else, we'll appreciate his tonsorial expertise more than those North London heathens. Always pushing up the hill, searching for the thrill of it"
- Empire of the Sun, "Walking on a Dream"
Much has been made of the newly acquired fitness of the team under Moyes, and the resultant increase in our miles covered. In a sense it seems obvious that simply covering more ground is a good thing for a football team, but it also has to be acknowledged that they need to be doing it for a reason. If not, then we might as well just put non sentient beings out there like robots, Dyson vacuum cleaners or Robbie Savage, and just let them cover ground unthinkingly. What was evident under Bilic was that players weren't doing enough running, but it also seemed to me that at least part of that was down to the lack of clarity over what their roles were and what they should be achieving through their running. There is a reason that each Jose Mourinho player gets a dossier before each game talking him through every aspect of his role, and why Sam Allardyce spends the entirety of his Friday training sessions literally walking his team through their defensive alignment. It is because footballers respond well to clear, pointed instructions, particular when they implicitly trust the person giving that guidance. The more I see what Moyes has achieved in six weeks the less I am impressed by Bilic and his staff. After all, Moyes has taken more points from games against Manchester City, Chelsea and Arsenal than Bilic did from his fixtures against the promoted teams. Perhaps it can be argued that Moyes was weirdly fortunate to get those fixtures consecutively, because it allowed him to set up defensively without needing to worry about the reaction of fans. Ultimately, I don't know if West Ham fans are any more or less knowledgeable than any other group, but it seems clear to me that we have collectively decided to hold our nose and accept that this season will be a turgid scramble for safety, and if that means 5-4-1 at home to Arsenal then so be it. File that away under "Necessary Evils". As it was, we were slightly more adventurous than that as Arnautovic and Antonio were deployed as kind of rotating strikers, with a brief to drop back when necessary. As such, we alternated between 3-5-2 and variations on the theme, before going to 5-4-1 to see out the game. I have no issue with any of that. Look at the state of this squad. Moyes had four strikers on the bench - none of whom he trusts - and two defenders. I would argue that we could have done with some fresh legs in midfield to see out the game, but all that was available was unscrewing one of Carroll's false ones and chucking that on. And so Noble played two high intensity games in five days and did just fine. Good on him - two fingers to the doubters, as he continues to rage against the dying of the light. And once again, it was possible to see the little pieces mattering. I like to think that I'm a man of science, and sceptical of the intangible, but I loved the way that Noble and Arnautovic jogged over to slap Antonio on the back as he went off. Or the way Noble buys free kicks when he clearly has nowhere to go. Or Adrian yells to the crowd and raises the decibel level ever so slightly as we all take a break from gnawing our fingernails down to our elbows. Maybe I'm a fan who reads too much into these things, but stuff like that seems to me to be the invisible mortar that has to sit between the bricks if we're going to repel the hidden dangers of the future. If nothing else, I think there is a difference between looking at a team mate and hoping you can rely on him rather than knowing you can. If players like Noble and Adrian make that happen, then they carry a value not immediately visible in possession statistics or xG shot maps. So godspeed to Moyes and his emphasis on the basics, because Christ knows it's been a long time since we have seen them. He hasn't got much to work with but he's wringing every last drop from them, and there is much to admire in that. Perhaps we should ask a question about why the team with the 13th highest wage bill in Europe should be playing fixtures like this in the style of a lower league team drawn away in the League Cup, but let's do that another day. It's not the fault of Moyes, after all. We are the ever living ghost of what once was"
- Band of Horses, "No One's Gonna Love You"
What has been evident over these last three games is that there has been a clear focus on a defensive system. We have reverted to the three centre back system that does seem to be the only way we can defend these days, and does raise concerns about the future when we try and go back to a four, but for now it's consecutive clean sheets and some glimmers of hope. Central to this resurgence has been the return of Adrian, Angelo Ogbonna suddenly remembering he's Italian, and Aaron Cresswell converting effortlessly to a central role. Between them the latter pair made seventeen clearances here, and generally seemed to be everywhere when Arsenal broke through. There was one moment late in the second half when it looked like Danny Welbeck might get away and cause us a problem but Ogbonna simply ushered him wide and physically dominated him to win possession back easily. This is the Ogbonna of Juve and the Azurri and if he's back for good then we have an elite centre back around which to build. Cresswell is perhaps the bigger revelation, as he had lost his form totally after a very bad injury last season. In watching him here, with proper protection in front of him from Obiang and Noble, it did make me wonder how much of his travails were down to the fact that Bilic seemed to frequently offer him about as much cover as the London Stadium roof does to anyone in the front ten rows. A season spent with a sulking Payet in front of him, followed by the likes of Feghouli and Arnautovic is enough to grey the hairs of any full back. This guy is a serious player, and credit to Moyes and his team for identifying a way to get more from him. In a world where central defenders no longer need to be Easter Island statues, it is vital that we have someone who can distribute the ball intelligently and with purpose, and he is our best option. The acid test for this system will come, however, when we play weaker teams. Sitting back here and soaking up the pressure of Arsenal and Chelsea is fine, but we will need to be able to throw a few punches back in our next few fixtures. Stoke, Newcastle, Bournemouth and West Brom is a run of fixtures from which we simply have to get some points, because for all the encouragement of these performances we still remain in nineteenth place and are just two points ahead of a Swansea team who are now giving playing time to staff in the ticket office to try and save money on overheads. This is basically the only remaining plausible excuse for Renato Sanches, by the way. Bilic might have been right on that one. The concern is that with the set up as it currently is, we will struggle to get forward in sufficient numbers to support our front men, whoever they may be. I think that is slightly overblown as it's hard to overestimate the cumulative impact of three consecutive games like we've just had. We will have more than 30% possession on Saturday and that will help the legs, especially in midfield. Key to all of it, however, will be Lanzini who will need to be more influential than he has been lately to give us a chance. Pushing the wing backs forward will be key, as they offer our width in this system, and then trying to get Lanzini and Arnautovic on the ball in the final third. If we can do that, and Antonio can finally demonstrate greater aerobic capacity than the American tourist from In Bruges, then we have a shot. These are the pieces that haven't really mattered in these last three games, but they will have to in the immediate future. Our season rests on the fixtures between now and the end of January, and we will need to score at a greater rate than we have so far this season to survive. It was for that reason that Chicharito's late miss was so frustrating, given we bought him for exactly those sorts of opportunity. That said, if I have a criticism of Moyes it's that he leaves his substitutes very little time to have an impact. It's tempting to wonder whether an extra five minutes on the pitch might have helped the Mexican get into the game before he rattled the bar. Hear what I have to say"
- Neil Young, "Harvest Moon"
Talking of bars, I decided to chance a drink in the stadium before this game for pretty much the first time ever. I also suffered a brief malfunction of my hippocampus and decided to take up the splendid meal deal offer of a hot dog and a pint for the knockdown giveaway price of £9.50. As I handed over my money through my watering eyes, I noticed that I was being charged £9.85, leaving me with the option of deciding whether to let it go or be a dickhead over 35p. Reader, I am a dickhead. So I asked about it and the woman on the till looked at me like I'd asked her for one of her kidneys. After a minute or so of staring at each other (my eyes still weeping) she informed me that the meal deal didn't work on her till. I think I'm beginning to see how the Mayor is planning to reduce those £10m a year losses. Having eventually bought my pint I then couldn't find anywhere to put it down while I tried to put some ketchup on my hot dog. This was karmic retribution for me shaking my head and muttering at every report back from the meetings with Karren Brady where people complained about this very point rather than asking about why our Director of Football doesn't know he's our Director of Football. And you're not paying for this content so, yeah, I am going to describe my hot dog purchasing experience. But all of that is a roundabout way to ask - just how much should football clubs be listening to fans? My initial thought is that confidently run clubs don't really need to, because they know what they're doing, and have confidence in their plans that is informed by an industry-specific intelligence that large groups of fans simply won't have. But that is an opinion about fans wanting to be listened to on the strategic vision of the club, not around the day to day experiences of being a fan. And so then as I was stood there with my beer on the floor as I struggled to put some sauce on to a hot dog of indeterminate composition, I did have some sympathy with the alternate view. Our fan experience is quite a long way from that of our peers at other London clubs. As an example, there is absolutely nowhere on the concourse where it isn't cold on a night like this, because it isn't enclosed, presumably due to the cost. Athletics, after all, doesn't take place when it snows so we don't need to consider spectator comfort in that sense. There are all sorts of meetings between the club and various fan groups at the moment and I really don't know what to make of it. My preference is that WHUISA represent fans as they are a democratic group, but I get that others don't have the patience for that type of engagement, even if things are a little bit "People's Front of Judea" at present. 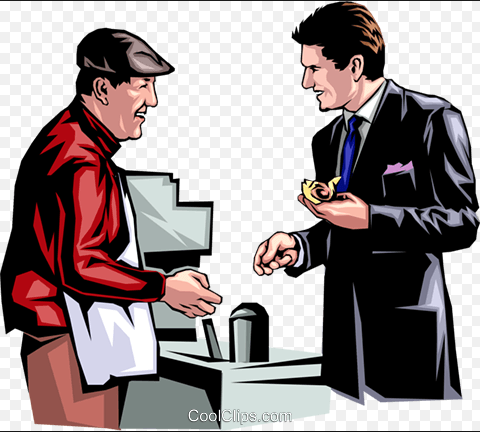 And there is no doubt that the club clearly need to hear about certain things - like the frankly haphazard application of meal deal protocols - but I can't help feeling that is really below the pay grade of the Vice Chair of the club. With that said, it's perfectly reasonable for fans to complain that the facilities at the ground simply cannot cope with the half time crush that comes with football games. I also understand that the club only have a limited ability to control some of that, because they are tenants and not owners, but they really ought to be listening to that feedback and working with us to fix that. (Just put the bloody TV's on for five minutes either side of half time, by the way. It's not a crime to want to finish a drink and watch your team play). I'm not really offering up any particular solution to any of this, but it might be worth those who have an audience with the club separating out their complaints around day to day working issues from bigger strategic and structural problems. And the club should also be prepared to hear those complaints too - after all, we actually are the pieces that matter the most.